Emily and her friends are planning a tea party. Oh, no! Here comes rain! Will the party be ruined? The sweet and lovable Emily can now be found in the fun and popular Sticker Stories format! With 75 full-color, reusable stickers and big, inviting full-color spreads to decorate, Sticker Stories give young children the tools and freedom to create their own stories time and again. It's tea time in the dollhouse, and the dolls need help picking out dresses, making party cakes, and getting their teddy bear guests ready for a wonderful time! Chock-full of recipes and games, here is a book that celebrates the simple pleasures of an old-fashioned tea party. Welcome to Swinings! Our biscuits are the best! Our crumpets are scrumptious! Our teas are outstanding! Won't you please join us?! 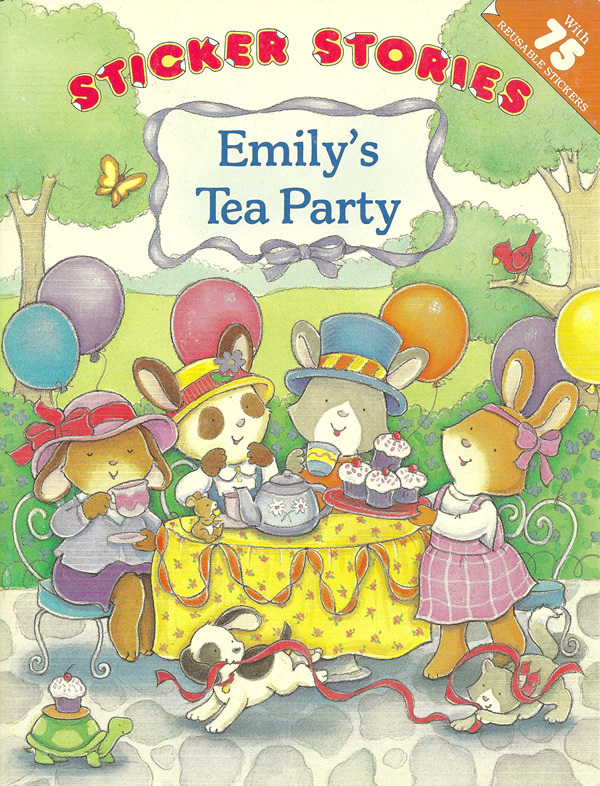 Join Mary Engelbreit for a tea party where characters from her charming illustrations pull up a chair.